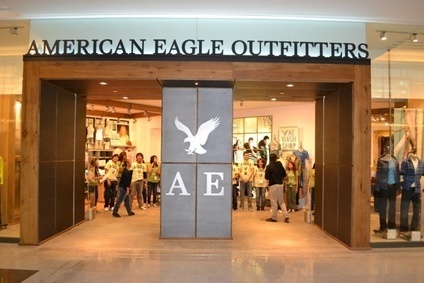 As part of efforts to further expand its presence in the Americas and Asia Pacific, American Eagle Outfitters has inked three exclusive multi-store licensing agreements. The teen apparel retailer has signed an agreement with Grupo David Enterprises to open stores in Venezuela, Caribbean Islands and Central America, including Panama, Costa Rica, Honduras,Guatemala, El Salvador, Nicaragua and Belize. American Eagle Outfitters will also partner with Grupo Comercializadoras for stores in Columbia, and Pacifica Lifestyle Co for Thailand. The stores will start opening next summer. The company, which has licensed stores in 12 countries, including the United Arab Emirates, Morocco, Egypt and the Philippines, expects to open an additional 40 licensed stores in 2014. "We are excited to introduce our brands into these high growth and vibrant international markets as we continue to expand our global presence and build on our success to date," said CEO Robert Hanson. Last month, American Eagle Outfitters raised its third-quarter earnings guidance to reflect "slightly better than expected" margins during the period.